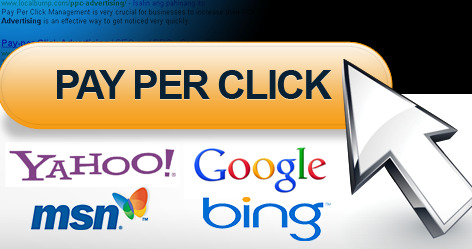 Ecommerce Pay Per Click (PPC) advertising services is a primary focus here at ClickCentric SEO. We often combine ecommerce marketing campaigns to contain both ecommerce SEO and PPC advertising for ecommerce sites. This creates the optimum synergy for keyword testing, conversion rate optimization, and being able to maximize your company's overall search engine exposure. Strong ecommerce PPC advertising strategies must be well designed and carefully managed from the start. For large and expansive PPC campaigns for ecommerce sites with many product levels, consistent campaign management may be required. At ClickCentric SEO, we specialize in all aspects of ecommerce PPC advertising. Learn more about some of the components to our ecommerce Pay Per Click services below, or visit our page about ecommerce PPC strategy. Keyword research is an imperative part of the Pay Per Click advertising process. Understanding the nature of keywords demands more than interpreting their traffic volumes. Keyword research for ecommerce PPC is requires a very analytical as well as logical approach. Effective research combines competitive analysis, budget management, and keyword discovery all into one project. This step is the foundation to a strong campaign and integral aspect of our ecommerce PPC services. As part of our services, our ecommerce PPC specialists perform ongoing optimization to better the performance of your campaigns. In addition to optimizing the AdWords campaign settings, our conversion optimization process continues with ad copy and landing page testing, where we experiment with multiple creatives and ad variations to determine the best concepts to convert valuable search engine traffic. An often overlooked component to a successful ecommerce Pay Per Click campaign is the effectiveness of the ad copy. Solid copy is what lures in quality customers, which results in a better ROI. Here at Click Centric SEO, we test multiple ad copy variations for each ad group of your ecommerce PPC campaign. The ecommerce ad copywriting testing process enables us to pinpoint the verbiage that results in not only greater click-throughs, but also better conversion rates. Split testing multiple landing pages is an integral aspect of the conversion optimization process. As part of our ecommerce Pay Per Click advertising services, our designers put together multiple creatives for landing page designs. We take into consideration the entire conversional funnel and customer buying process. We can build ecommerce PPC landing pages with contact forms and click-to-purchase shopping cart capabilities. Whatever the nature of your products and target market, our ecommerce PPC advertising services can help you succeed. At Click Centric SEO, we offer the resources and capabilities to provide ecommerce-specific display advertising services. Our ecommerce marketing strategists and graphic designers will work with you and your marketing team to create and implement alluring ads that generate quality web traffic and pre-qualified leads. Learn more about display advertising services as an effective component to your ecommerce PPC campaign. For an Internet retailer to be successful in today's competitive online marketplace, ecommerce PPC advertising is almost an essential undertaking. The only issue for most traditional marketers is that ecommerce Pay Per Click advertising is complex endeavor that demands some degree of knowledge and experience. Although there are a number of resources and educational materials provided by Google, becoming proficient using the AdWords PPC advertising platform is a college course in itself. If you are seeking a trusted company for ecommerce PPC services, here at ClickCentric SEO, we can help. We are highly adept in PPC for ecommerce sites and we build Pay Per Click campaigns that are tailored according to our client's specific needs and budget restraints. In addition, we specialize in ongoing ecommerce PPC campaign management services for e-retailers of all types. At ClickCentric SEO, we require no annual fees or long-term contracts, and we work with you to ensure the cohesive construction of a success-driven ecommerce Pay Per Click advertising campaign.